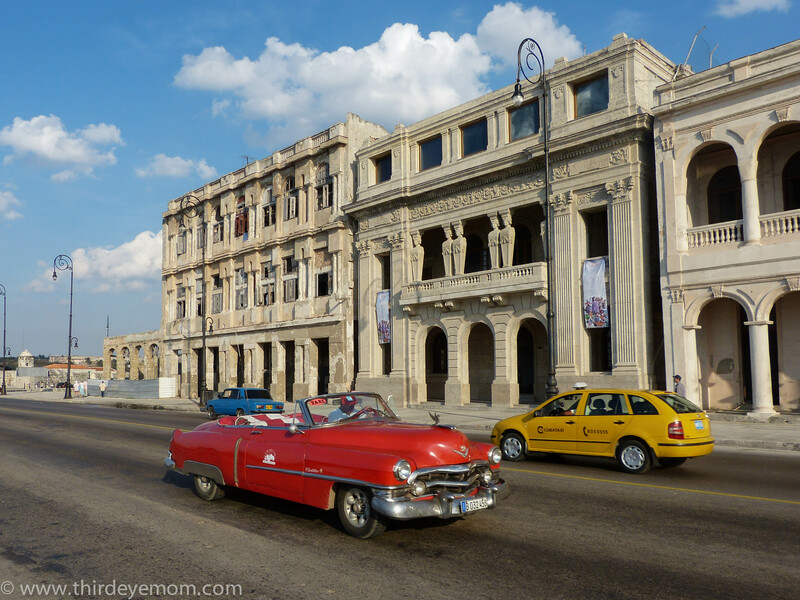 The most well-known spot in Havana is the famous Malecón, a five-mile long esplanade, street and seawall which stretches along the coast in Havana connecting the mouth of the Havana Harbor in Habana Vieja, passing through Centro Habana and ending in the more upscale Vedado neighborhood. 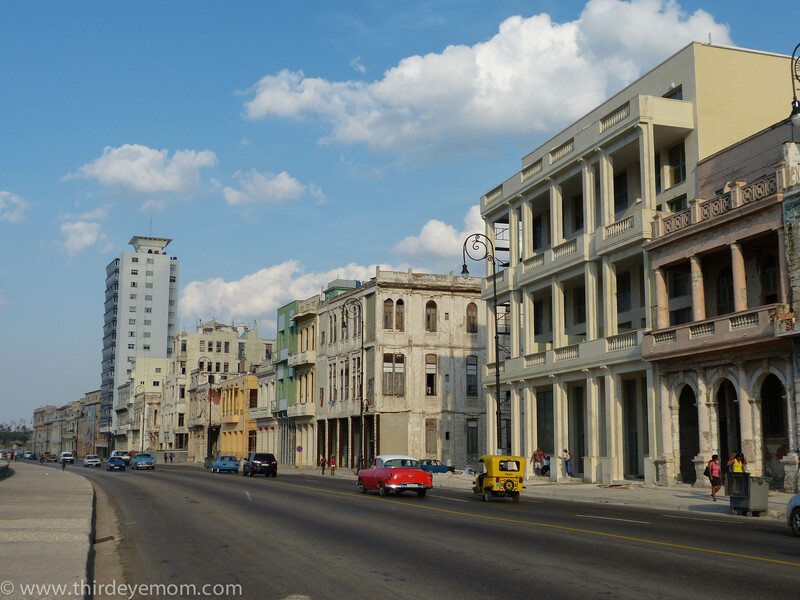 Known by locals as the “big sofa” or the “living room” the Malecón is a testament of el Triunfo de la Revolución (the triumph of the revolution as Cubans say) and is awash with the sheer irony of the Cuban revolution. 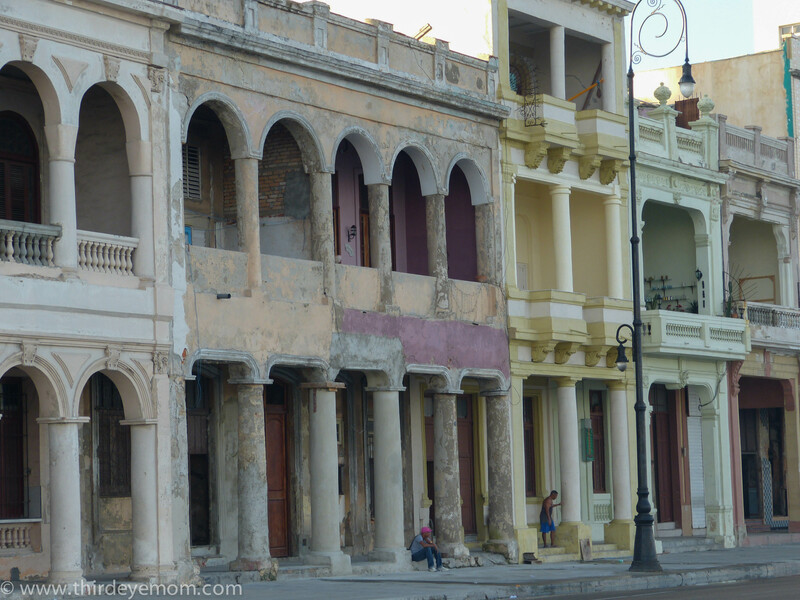 Built at the start of the 20th century, the main purpose of the Malecón was to protect Havana from the ocean waters pounding against her shore. 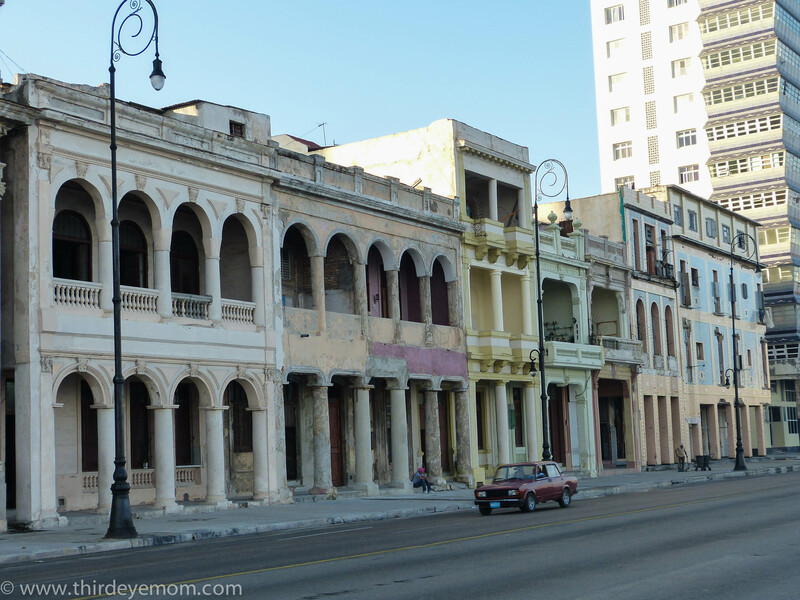 As the Malecón was developed, glorious 19th and 20th century structures were built and lined the Avenida de Maceo (the street along the Malecón). 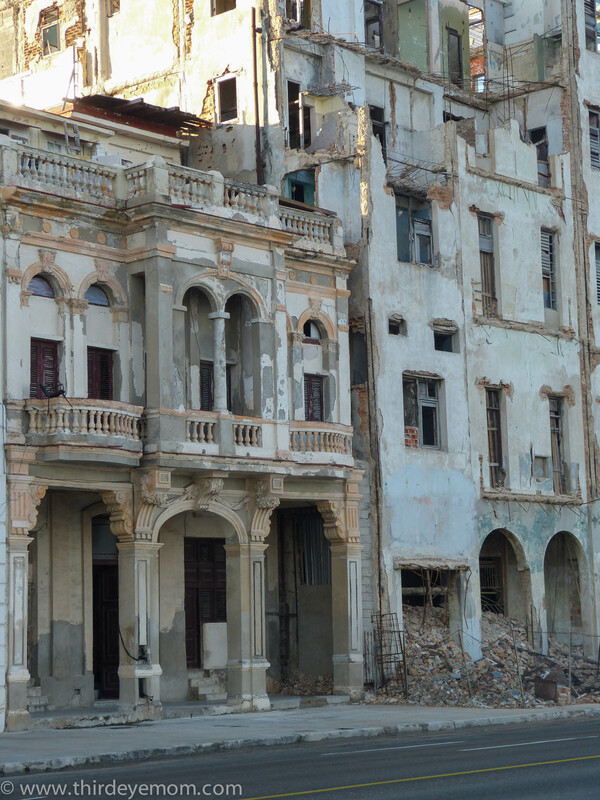 Over time as the effects of el triunfo de la revolución slammed into Cuba, the Malecón became run-down, weathered and in a huge state of deterioration and decay. 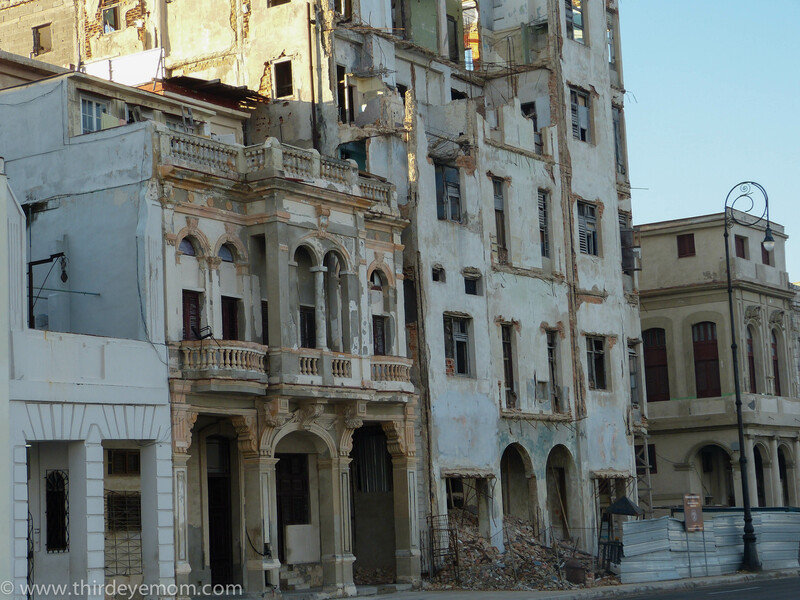 It is a tragedy to see how these buildings, which Cubans still live in, look today. 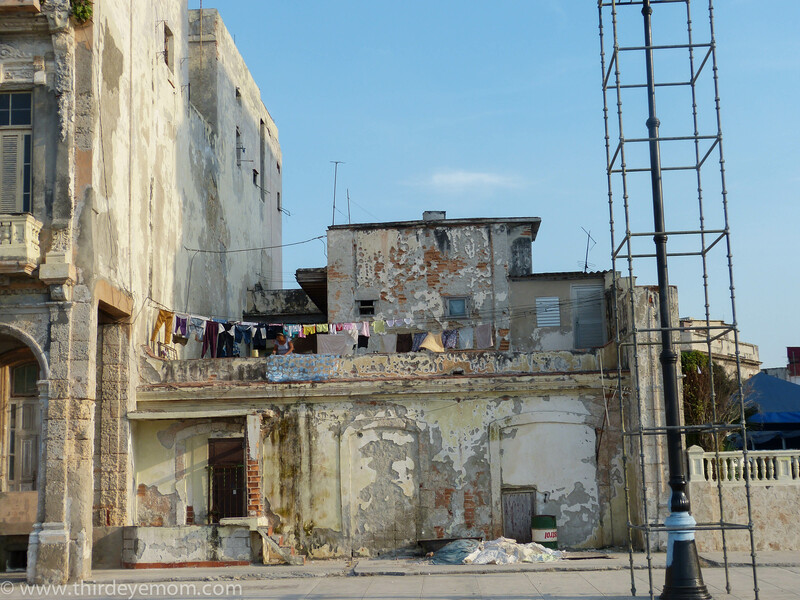 Yet the Malecón continues to be the most popular promenade in all Havana where teenagers, lovers, families and friends spend their evenings hanging out along one of the world’s most dilapidated “back porch”. 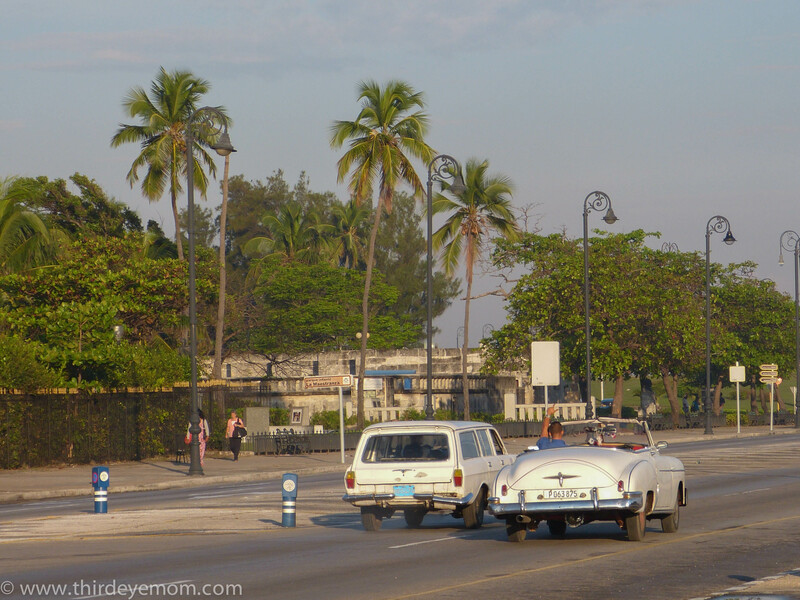 A sunset ride along the Malecón inside a 1950s convertible is the way to see it all in style! Sadly, it rained the one night we had our cars booked so I had to do it the old-fashioned way: Cheap taxi and walk. 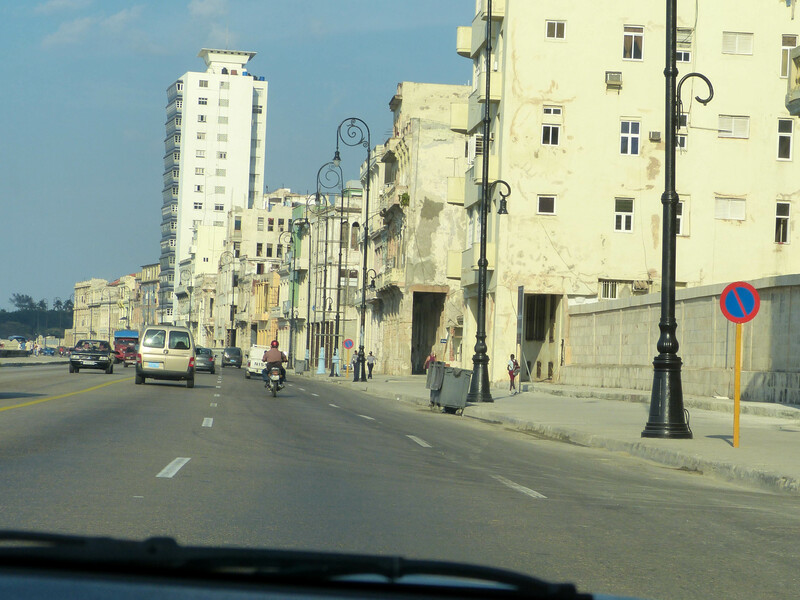 Take a ride with me along the Malecón, Havana’s biggest living room and see how the days of the Cuban revolution have weathered this once spectacular place. 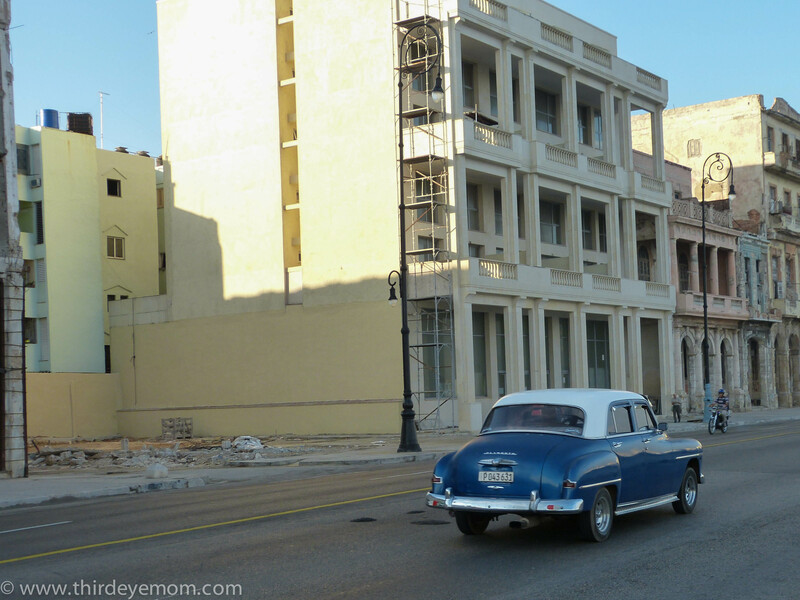 Check out the old cars along the way too which are seen throughout Cuba. 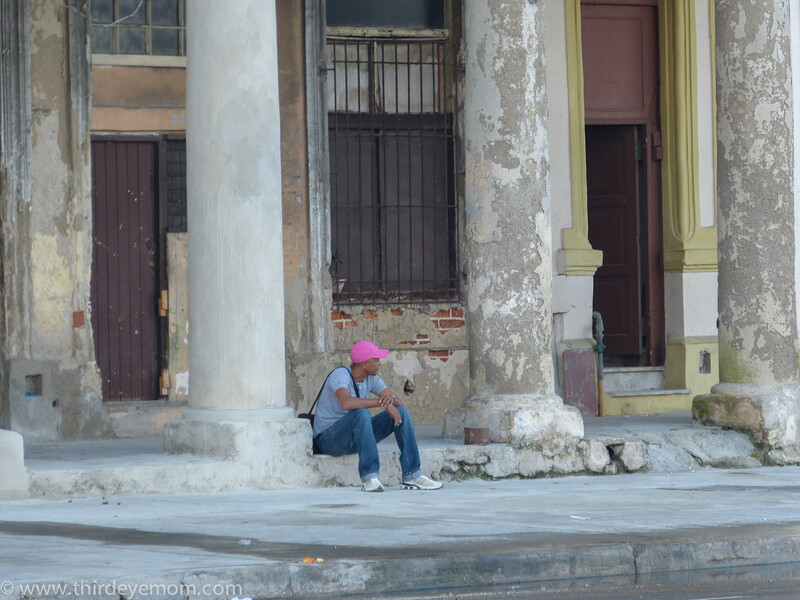 As I walked the five-mile stretch from Old Havana back to my plush hotel in Vedado I couldn’t help but feel sad for the Cubans living in these terrible circumstances. I asked a local if buildings collapse frequently like they do in parts of India and if there are any building codes. Sadly, there is not. 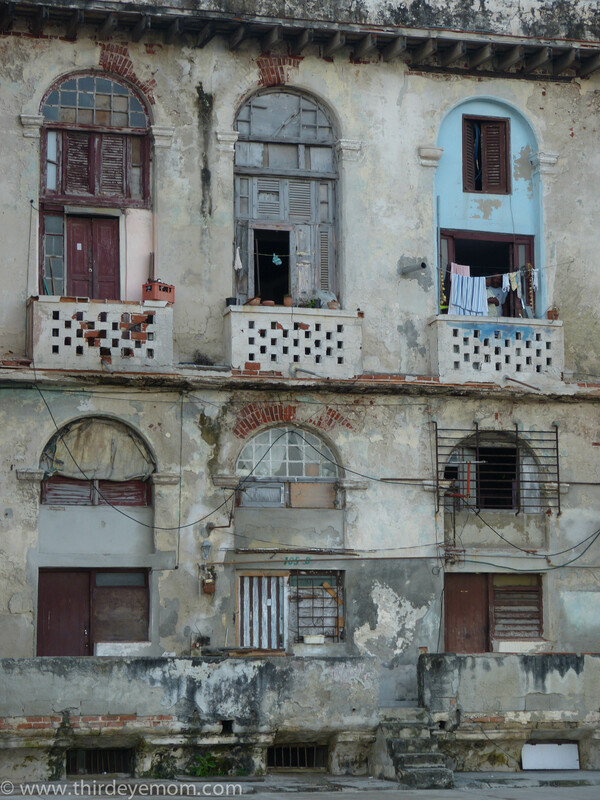 Havana remains the most densely populated urban city in Cuba and families are crammed together in very tight apartments that are not up to code, unsafe and falling apart. But what can they do when they have no choice? The original buildings were well made and wouldn’t be standing today if they hadn’t been. Too bad they don’t start a revitalization program. As usual there is too much power in too few hands. Yes so true. The craftsmanship was strong, and they were so incredibly beautiful. 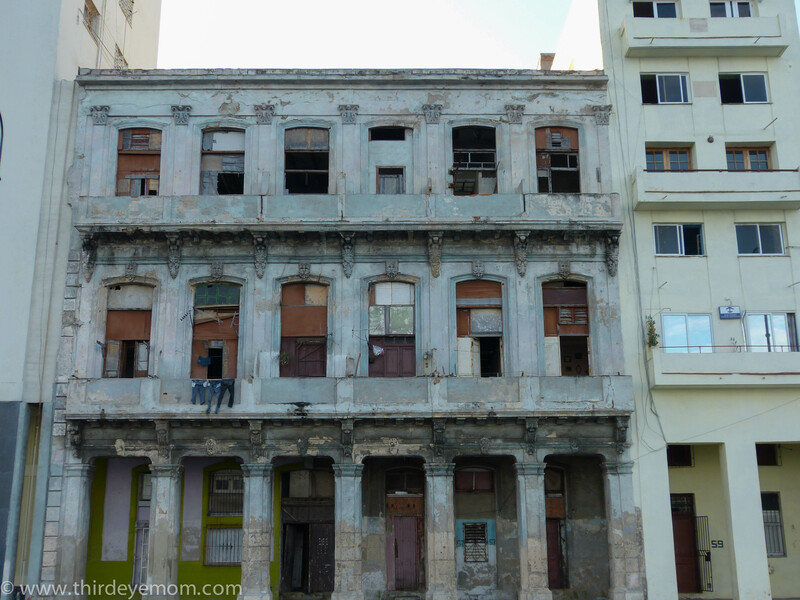 The buildings along Old Havana are being restored and I certainly hope someday before it is too late more of Havana’s cultural past will be restored before it all falls apart. 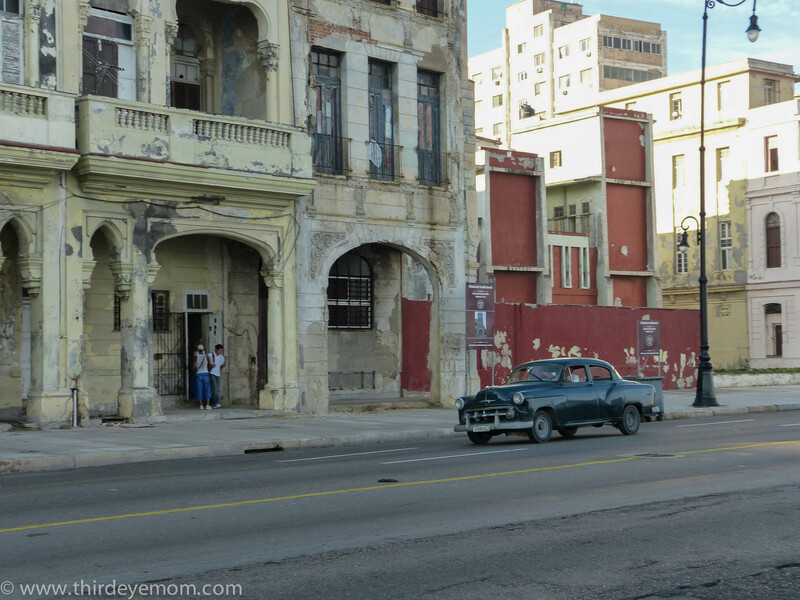 You’ve secured some really wonderful, yet sad, images of Havana thirdeyemom. 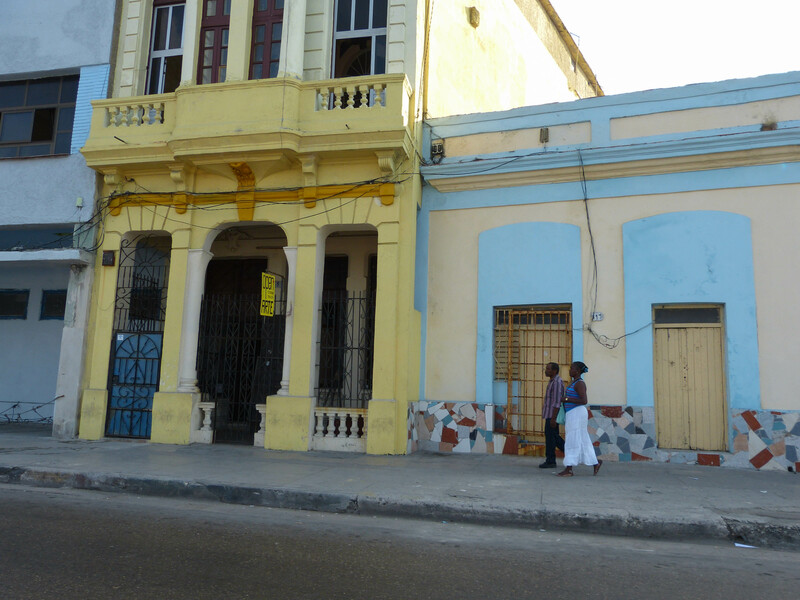 When I was in Havana a couple of years ago, I had a long chat with the Director of Architecture for Havana. 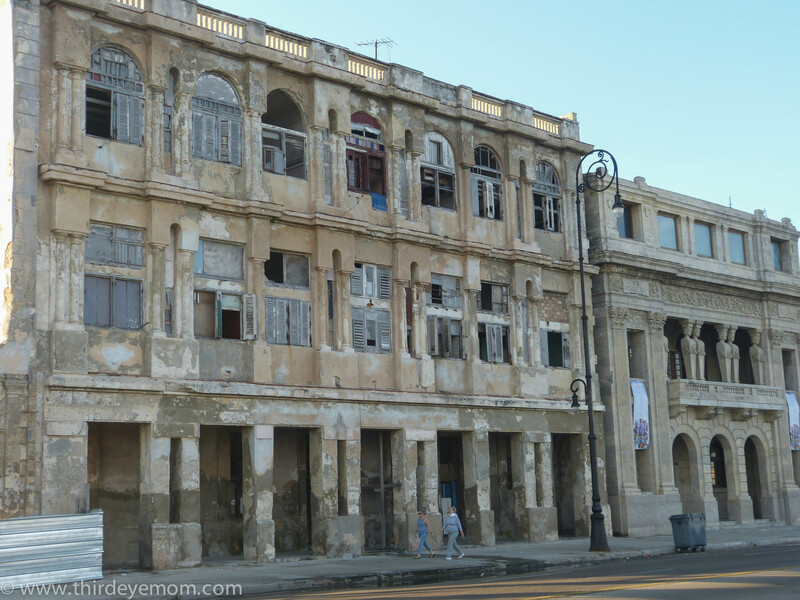 He told me the Cubans truly appreciate their old, historical Spanish style buildings and that monies received from tourism ar being reinvested into restoring the old buildings. Only time will tell. Let’s hope! 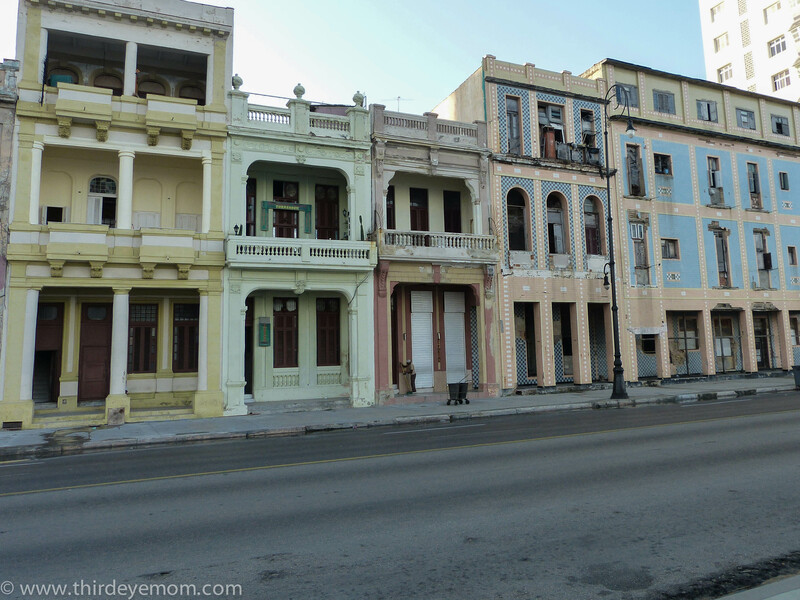 I know Old Havana is about 30% restored yet nothing has happened to this part of town yet. I do hope they get the funds to do it as it will be such a tragedy to lose these gorgeous buildings. Totally agree. They are gorgeous. 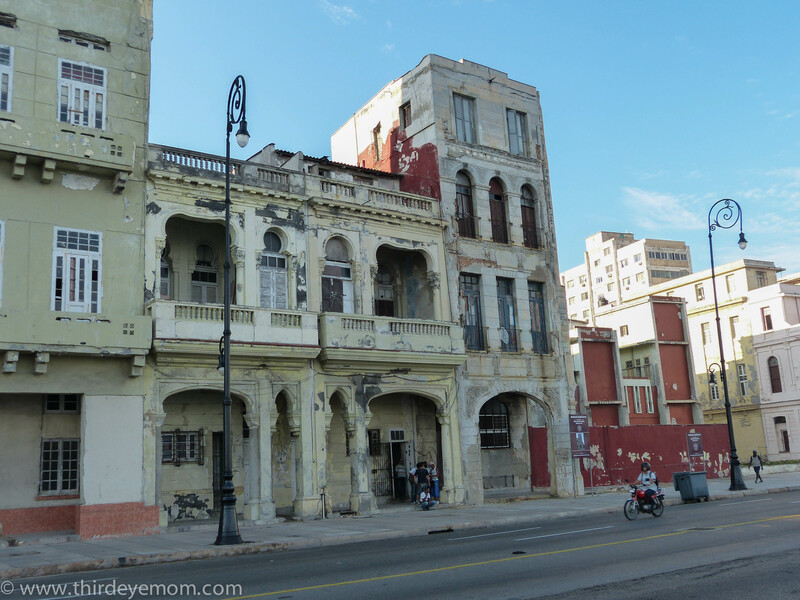 These photos tell much of the history of the city, but sad…. So true Amy. 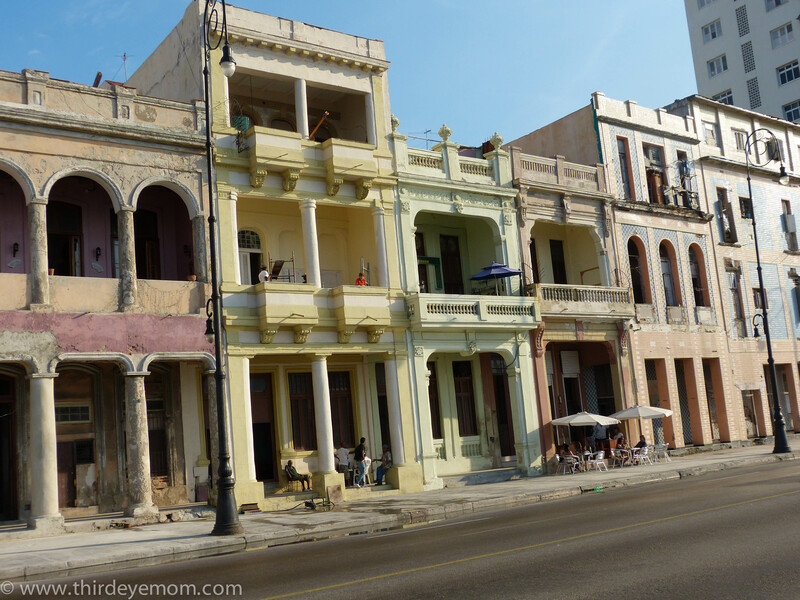 I’m reading another brilliant book now on Cuba called Diaries of an American Housewife. 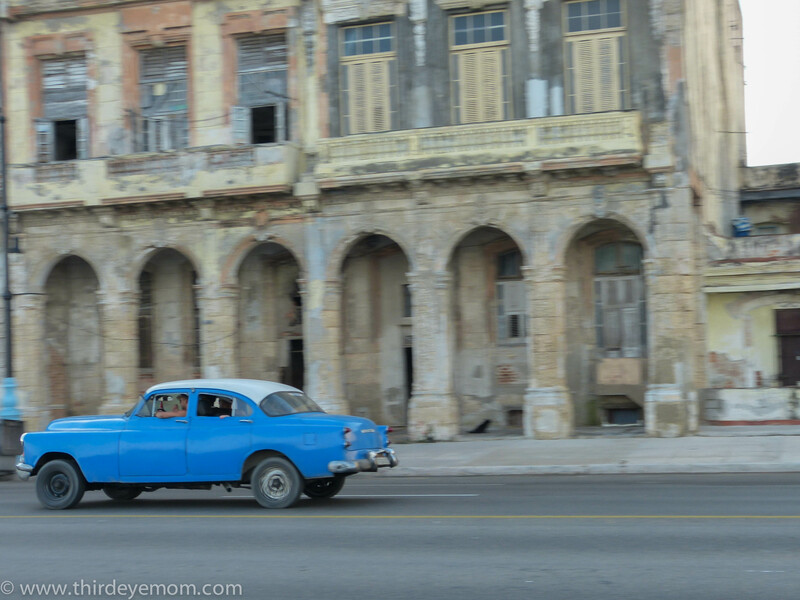 Cuba truly has quite a history. Great photos and write up. 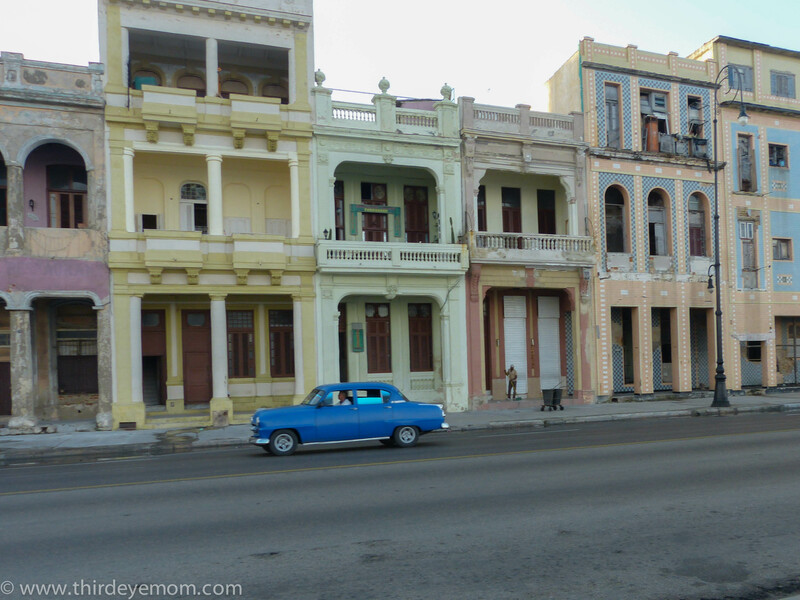 Am heading to Cuba in December this year. 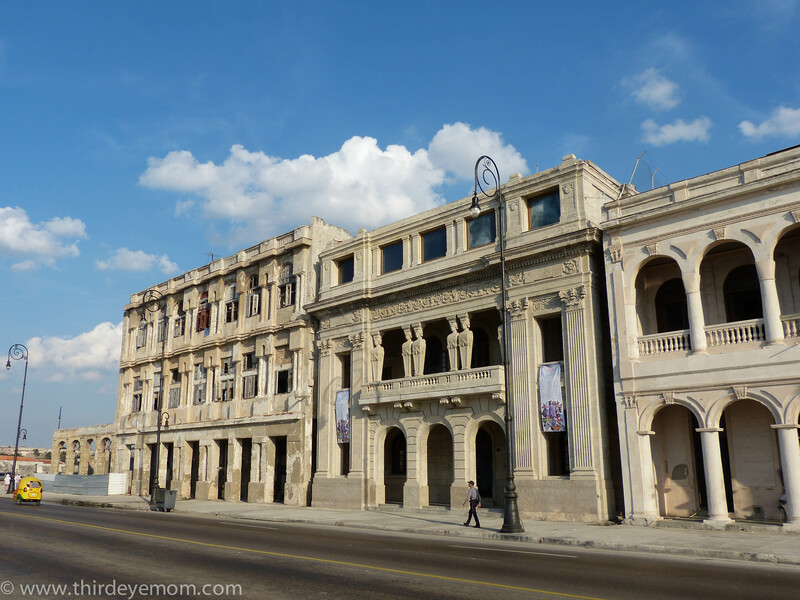 Hopefully as the sanctions loosen and more money flows into the country there will be improvements to the lives of the Cubans, including restoring these gorgeous old heritage buildings along the Malecon. Was it relatively easy to travel around independently? I don’t really want to go on tours, unless it is a day trip to somewhere difficult logistically to access or organise to visit. Any must-dos or recommends? Since I’m American, we can’t legally travel independently unless you go in through the back door (i.e. Canada or Mexico). Our silly government. 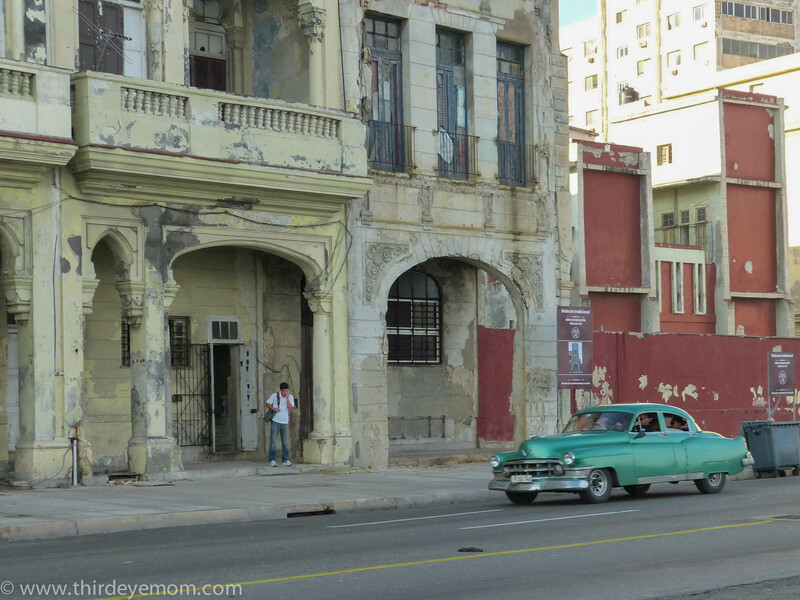 I’ve never ever done a tour in my life but loved our tour as it was fascinating and all meetings with different parts of Cuba culture and people I would have never met. That said, tons and tons of Europeans travel independently and yes it is very easy to get around except for the slow public buses. 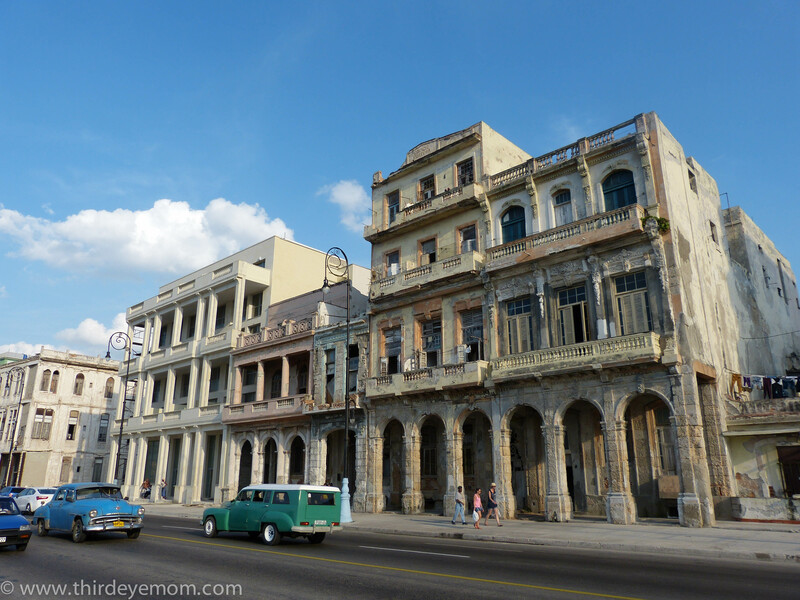 Must do is spend at least 4 days in Havana. I loved it and then get out of town and check the south! Perfect, thank you for that! 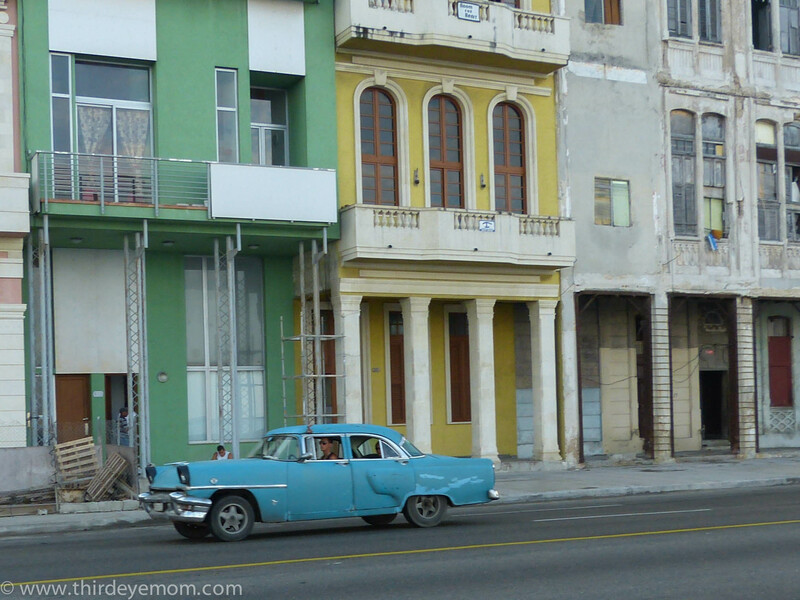 We intend on travelling independently and are looking to spend at least a week in Cuba. Really sad pics, Nicole. I can’t imagine what it must be like, living amongst all that decay. It must have been glorious in its heyday. Yes indeed. 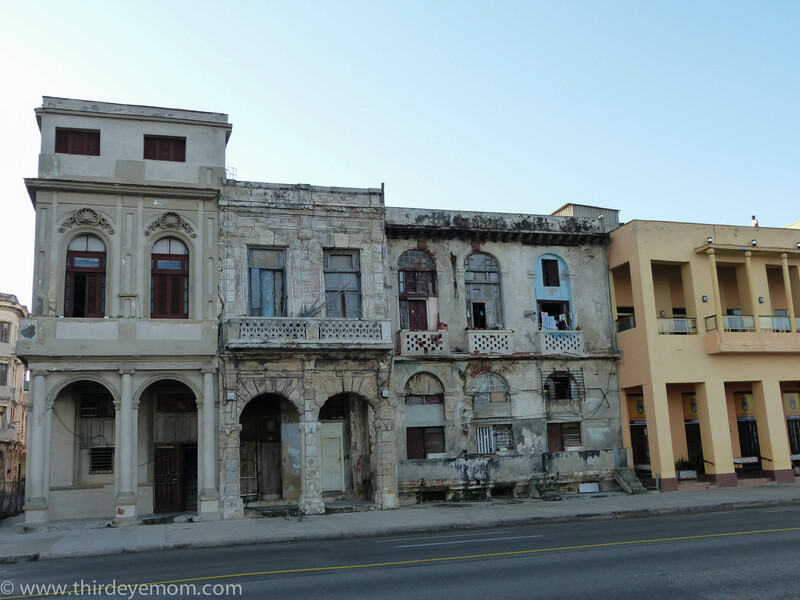 I hope they can restore some of these buildings before they complete fall to dust. A tragic testimony of the grip of Communism. How can the leaders live in such opulence? How can they look on such places with any pride? Your photos are tinged with such sadness. Generational suppression. So true. 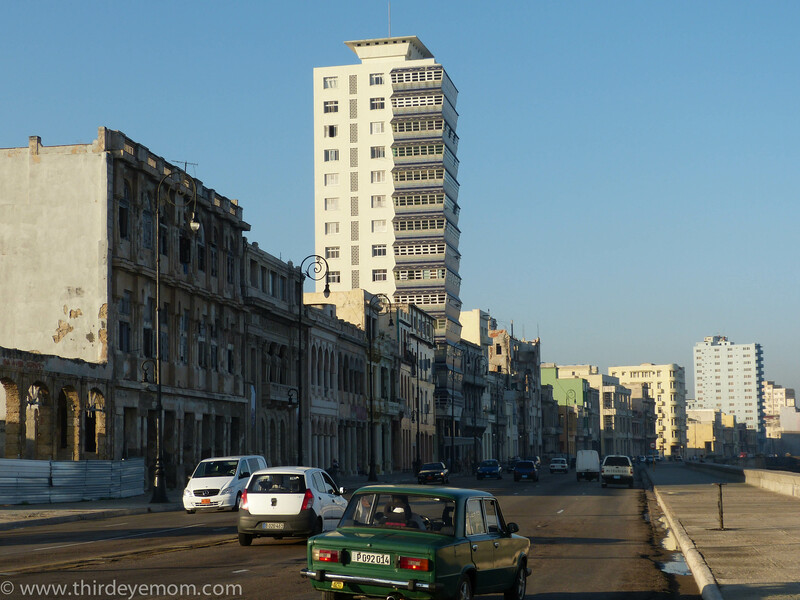 I’m reading a lot on Cuba now and it really awful what happened to the country since the series of terrible leaders. Communism has definitely made a lot of people worse off than they were living under the dreadful Batista. It is sad. Such powerful photos, Nicole. 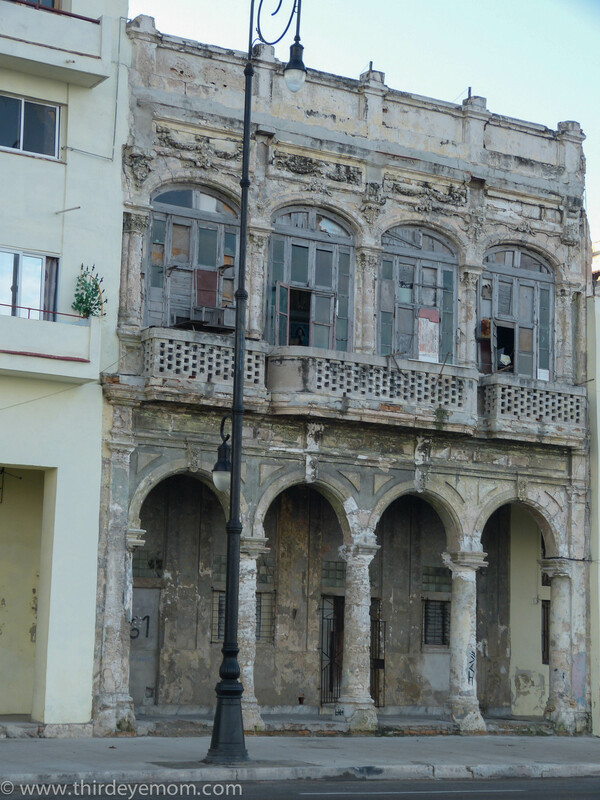 It’s so sad to see these once magnificent buildings in ruin. They must have been spectacular in their heyday. Look forward to seeing part two of the series. I look at these photos and can only imagine the beauty when they were first built; this is a wonderful series of photos. Thanks Angeline. 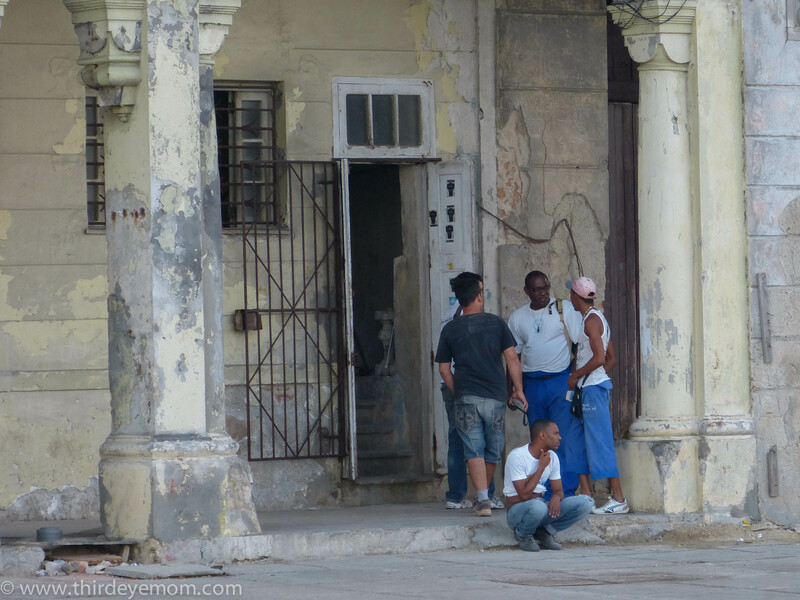 That is why Havana is perhaps so incredibly fascinating and so complicated too. It must have been absolutely amazing fifty years ago. I can only imagine! Exciting , culturally rich series of images. 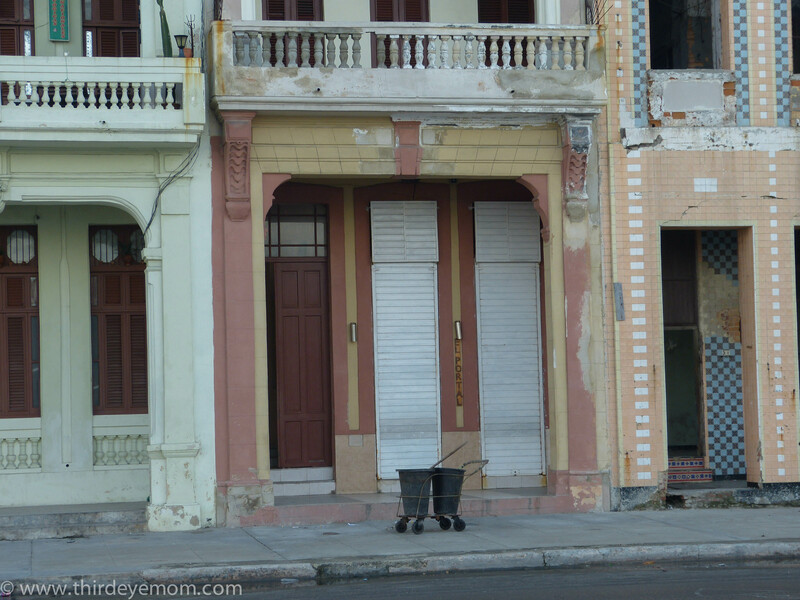 It’s like getting a glimpse of the past through those old, beautiful windows and doors. An unforgettable visual feast! Great photos, Nicole. 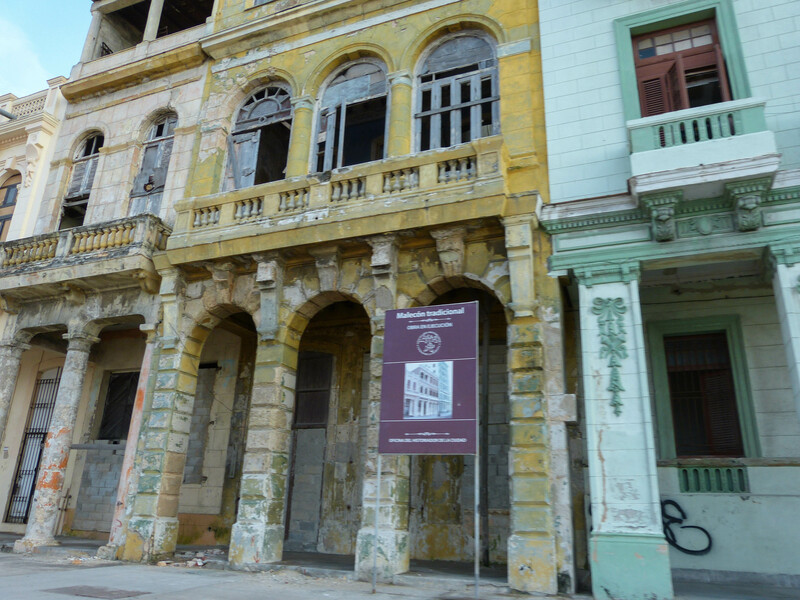 Fortunately, the buildings are older and not built from cement that used sand from the beach, at least I hope not. That was the case in Haiti, which proved disastrous. Yes that would be terrible Kathy. I can’t even imagine.